How are you? I don't know how I can thank you. You help me a lot to enhance my English even though this is the first time I have sent an email to you, I've read your writing for along time. Thank you for emailing me. Your kind words about my website and newsletter are a great thank you. I like to hear that my work is helping others. 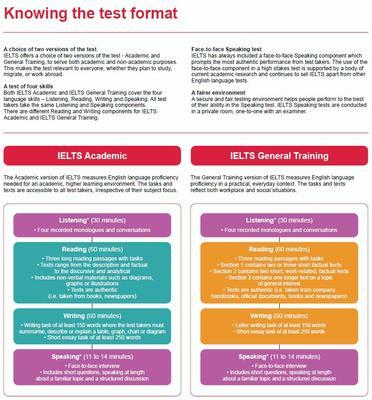 Now, regarding the IELTS exam. I must be upfront with you (honest). I do not know ANYTHING about these exams. I have never prepared a student for them and I do not know the structure of the exam. So, I went to www.IELTS.org to learn more. 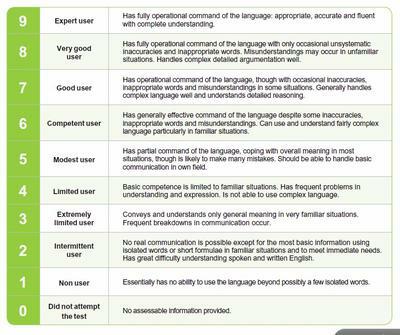 According to the website, "IELTS provides a profile of a candidate’s ability to use English. Candidates receive scores on a Band Score from 1 (Non User) to 9 (Expert User). 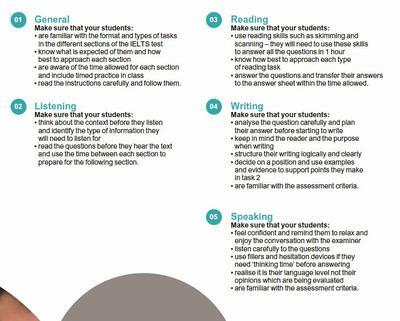 Candidates receive a score for each test component – Listening, Reading, Writing and Speaking. The individual scores are then averaged and rounded to produce an Overall Band Score. So, with this in mind I need to know what you scored on each individual section of the exam. This will help me know where your strengths and weaknesses are. You can reply in a comment below to provide me those details Ali. I also have an idea for you. Teachers need to learn how to prepare their students for these exams, so I was curious to know how teachers can learn more. On this site I found a guide for teachers that shows them how to prepare their students. I highly recommend that you read it because it provides a lot of useful tips and information on how the exam is graded and also what to expect. I have included some screenshot images of that PDF above. Looking forward to hearing more about your exam marks and helping you reach your goal.